Here's another display by Ruth Rapoport Stotter. 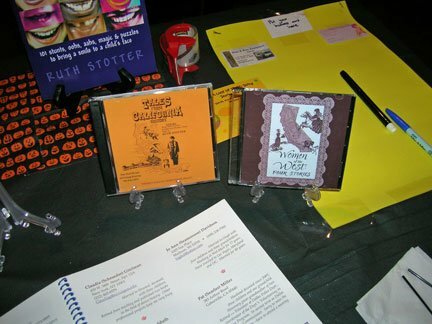 Ruth has made a career of story telling, and here are two CDs of stories and a book. I've used two of her books, "Smiles" and "The Golden Axe", with my grandchildren. They've enjoyed both.